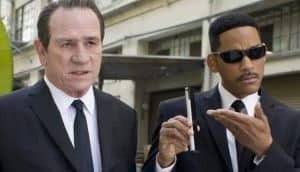 Men In Black Spinoff Release Date June 2019 | Nerd Much? It will be built on the original Men In Black much like Jurassic World. 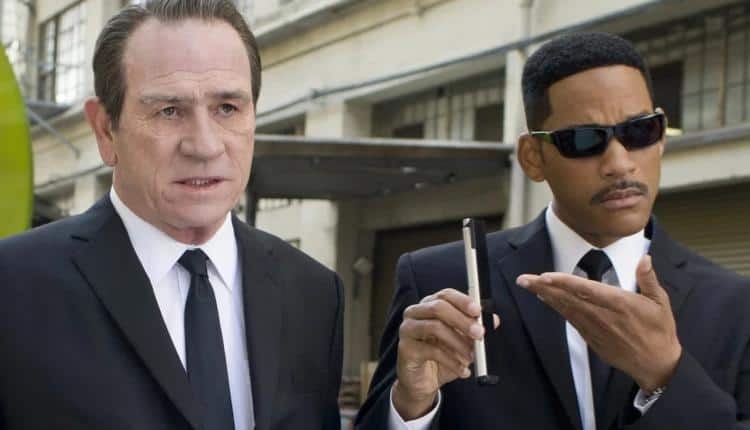 Sony has recently announced that they have changed the date on their upcoming Men In Black spinoff. The currently untitled movie was originally scheduled for May 17, 2019, and now has been moved a month later to June 14, 2019. This puts the film in competition with the Shaft remake, a film from the 2000s that starred Samuel L. Jackson as a police detective on a vigilante mission. The Men In Black spinoff is written by Matt Holloway and Art Marcum, who have also written for Iron Man and Transformers: The Last Knight. One of the producers of the spinoff, Walter F. Parkes, has complimented the writers for their script. That fresh place will apparently be on a global scale, and not confined to one city like the earlier films in the series. It will be built on the original Men In Black much like Jurassic World did for Jurassic Park. In fact, Steven Spielberg is an executive producer for the spinoff and is actively involved in making sure this one gets it right. There is currently no director attached to the project, not even any rumors yet. More information will likely come closer to the release date of the film. Nonetheless, it is a good excuse to watch the original Men In Black over again. Both Will Smith and Tommy Lee Jones were certainly an unlikely pair back then. No one expected Smith’s comedy to work so well with Jones’ more serious career in drama, especially after films like The Fugitive and House of Cards. The result was brilliant. Men In Black is all kinds of cheese, but it still holds up after all this time. If a spinoff will. is another story.